The Toronto singer talks about shifting soul narratives with his upcoming EP, Foreign Water. Jahkoy asked the first question when I called him up for an interview last week: “Is this a Toronto area code?” he said, noticing the 647 on caller ID. 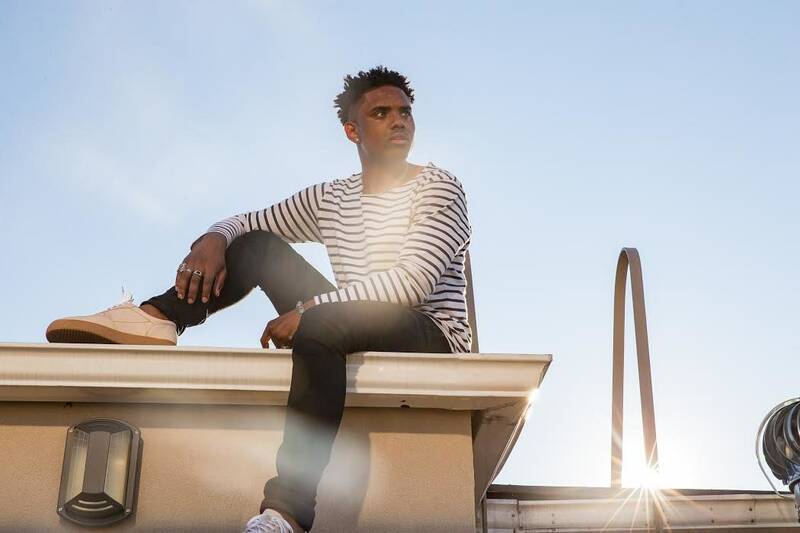 Though Jahkoy, 22, moved to Los Angeles after signing with Def Jam last year, he’s keen on letting listeners know more about him: where he’s from and where he’s going, in his music as well as his personal life. Toronto is a part of that story — from the west end to downtown to the east end, he calls all of it home — but he refuses to treat the city’s growing name as a crutch to lean on. When we spoke over a crackling connection, Jahkoy was in Miami prepping to perform later that night as part of the Revolt Music Conference alongside artists like Kehlani, Bibi Bourelly, and Cardi B. The night before, he’d submitted his debut EP, Foreign Water, for mastering. Though he’s found an audience by releasing bright R&B Soundcloud loosies for the past couple of years, including the smooth “Downtown” and the Wondagurl-produced “Tough,” it’s on this first EP, out October 28, that Jahkoy said he feels the most himself. He talked with The FADER about finding music through Shakespeare and the violin, transitioning from rapping to singing, and being a Rihanna fan. Since I was about 11. I was really writing more than anything. In high school, I read a lot of Shakespeare and it inspired a lot of what I was thinking about creating. The way he formed stories was never like, ‘he said, she said.’ It was really thought out; he told stories that rhymed, that didn’t follow the form of a regular story. I also was playing violin in school, partly because we were forced to. I guess I was just going through the different — how do you call it? — the transitions from being a writer to a violinist. Sort of like the transition from being the guy who plays the instruments to the guy who actually does the vocal production. It was hard for me to focus on both things at once because they were new [to me]. I wanted to cater to one more than the other and really master it before moving onto something else. It started as something I did in school but then it became a habit. I don’t remember a moment where I said, ‘Okay, I’m going to make music forever,’ but it was a habit that I couldn’t stop. First time I’ve ever been on stage? I was 13-years-old. There was an event in Toronto at York University called 106 & York. [Laughs] I was very comfortable. I love being on stage, being able to connect with the consumers and the fans, too. Sometimes I’m performing to a lot of new people, so I have to get them to believe in the product. I love getting people involved. My mom’s Jamaican and my dad’s Oromo, from East Africa, a region between Ethiopia and Eritrea. I have these two cultures in me, so I feel like a fusion of what it means to be from the Caribbean and from Africa. I grew up in the west side of Toronto, the Jane and Finch area. I never really had a stable home growing up. I was living with my mom, then my dad, then my grandma. I was just a troublemaker. [Laughs] So I lived at Jane and Finch, Lawrence Heights, and then, once I graduated high school, I ended up moving downtown before moving to L.A. I’d just say I’m from the heart of Toronto. I lived in Scarborough too! I’m a taste of what it means to be from Toronto, not just the west side or the east side. So how did you end up signing with Def Jam? I released a record called “Still in Love” independently on Soundcloud. And I had labels reach out to me, but didn’t feel like any were the right fit. I’m a new artist so sometimes that can be really intimidating, going into big label meetings. Like, what can I do to change anything, to add to the music? When I went to Def Jam I met with No I.D., who’s worked with Kanye West and J. Cole. He was really interested after he heard my record. We hit it off right away; he’s one of the dopest people I’ve ever known. We can just talk for hours, even when we aren’t really recording. Knowing what No I.D. has done for music, as someone who grew up listening to his work on some of my favorite projects, and having him like my record was exciting. It felt right. I grew up watching Def Jam Poetry, Def Jam Comedy, you know? Every artist I grew up listening to had Def Jam behind them and it was really cool to see them interested in me. Everything is trial and error. I just started singing two years ago, in 2014. I went to a Disclosure show in Toronto and I didn’t know who they were at all. I went to go see the guy who was opening for them at the time, Vic Mensa. Vic killed it, then Disclosure came on and they had this crazy, crazy set that was mostly instrumental. And they had a sold out show! People just came to vibe out and I felt like it’d be really cool to have some vocals over the instrumentals. I thought that vocals could elevate the record a little bit more, they could help make a more full song. In the beginning, I wasn’t really confident on the singing side of things because I come from a rapping background. Making that transition is a little bit overwhelming because you have to fit into this world. That’s how I describe my struggle with a lot of music: trying to fit into a world. I talk about love more than anything else, really embracing that side of life, and bringing brightness back to music. Music is in a dark place right now. The standard for music is low. I want to bring something fresh to the table. Where I am right now is all just trial and error. I have no expectations whatsoever. I just want to keep going. What's the concept behind Foreign Water? I’m from Canada and the industry that I’m in is very American. I’m living in L.A. now. With all the rising stars coming out of Toronto, the first thing that comes out of people’s mouths to me is always ‘there must be something in the water.’ It wasn’t just one or two people — it was everybody saying this to me. So this is me delivering the Toronto experience, without [people] having to go there. The foreignness of everything [in me] is what inspired it: coming from Canada, being from the Caribbean, and getting everybody involved in the spirit of the city like people do with other cities that they come from. You know when a New York artist comes out and they really show their background, and everyone knows where they’re from? I think that’s really dope. I want to do that, but for Toronto. What makes you, and Foreign Water, different from the new class of artists? I want to engage with everyone. Foreign Water is a global sound. It can appeal to you wherever you are, no matter where you’re from or what you like. I’m really excited for Foreign Water to come out. I’ve worked with some of the greatest producers: Rico Love, Jeremih, Yung Berg, my homie NOVA, my buddy Mars Today. I gave Foreign Water a lot of time and attention because it’s my introduction. We just finished all the mixes last night and submitted it for mastering and I feel really good about it. One of my favorite artists in the entire world, Rihanna, is someone who I think is a global artist. She started out as a Caribbean girl doing “Pon De Replay”, which, at the time, was fresh and dope, but then she branched off. She did tracks like “Disturbia”, which was so different. If a painter always painted the same painting, he wouldn’t be an artist, really. He would just be the guy who painted that one cool picture. [Laughs] Rihanna’s always fresh and exciting, you almost don’t know what to expect. I hope to live up to that standard with this project, and in my career. I want to be able to encourage people to do their own thing. To stand out more. Pharrell, Kanye West, Andre 3000 are some of my favourite artists. They were doing music in a time where it was really hard to accept difference. But they didn’t care, they believed in their own vision. Especially with technology now, we can make new things and new sounds. 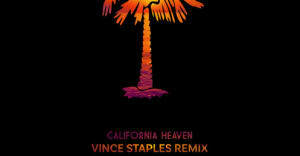 We can make records where R&B meets reggae meets house. I know that because I have records like that. [Laughs] I just want to get beyond boundaries or borders.